Caisse Desjardins de Vaudreuil-Soulanges has a long tradition of involvement with local youth. This is why it is so enthusiastic about the massive concerted effort being made by all Desjardins components toward youth outreach. Caisse Desjardins de Vaudreuil-Soulanges also contributes to Desjardins Foundation, which awards over a half million dollars in scholarships each year. Are you a vocational, college or university student? Post-secondary students. The Caisse makes every effort to put measures in place to meet the specific needs of young people getting an education or starting out in their career. 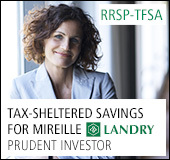 That's why several caisse advisors have been exclusively assigned to help our youth clientele. 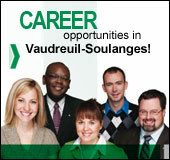 Jobs with Desjardins, a world of possibilities! If you are a student and you need financial aid, Desjardins might have a bur sary for you.